Welcome to the holiday season when everyone wants to lose 10 pounds, eat their faces off, join a gym, live at the open bar, and party like it’s 1999. In the running world, this means a whole lotta Newbies. For me it means a whole lotta questions. No worries, Newbies. I got you. Some people will tell you to run as far as you can every day and you’ll build up to whatever distance you want to run. Eh. Not so much. 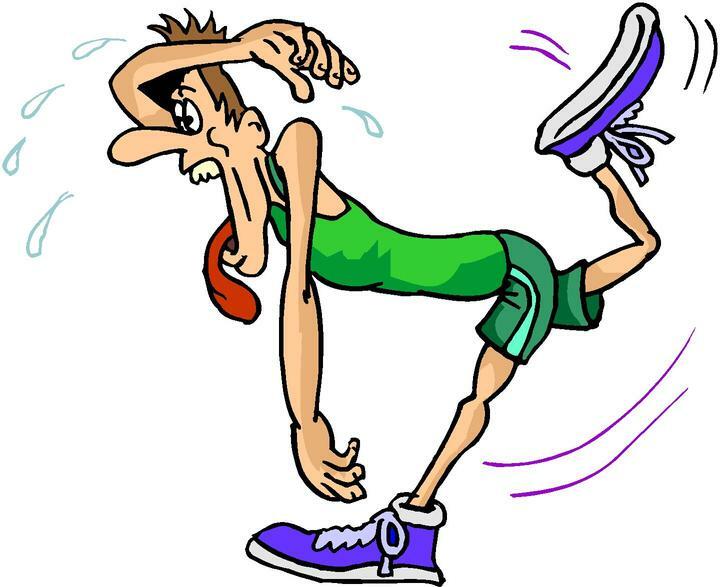 You’ll likely feel like this if you just go out and run as far as you can until you can’t anymore. That’s no fun. When you start a running program, you’re better off working at speed and strength first and distance second. What’s that you say? 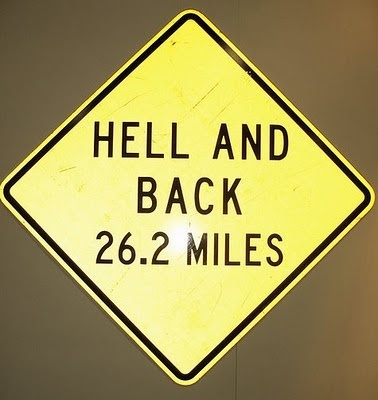 Isn’t it all about getting to that golden 26.2? You gotta get stronger before you can go longer. Guess what makes you stronger? Fartleks. No, it’s not a dirty word. Yes, it does make everyone giggle when someone says it. But, seriously, it gets the job done. Running fast for short periods of time at your maximum speed will make you stronger. It will make your body work more efficiently to get oxygen to your muscles. It will help make those longer runs easier. It doesn’t have to be all structured or anything. 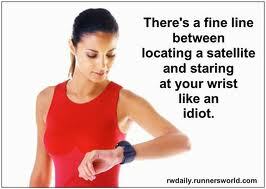 You don’t need a fancy Garmin to track your distance and pace, any distance at your max pace will do. In the winter, I do a lot of these types of workouts on the treadmill because I’m the girl that slips and falls all the freaking time. Add ice to the mix and I’m a gonner for sure. So, yeah, get a long run in once a week and an easy one, too. But make the majority of your first two months of running shorter bursts. Increase the distance and time of the bursts, add a few more in every other week, and do some on hills. These drills will make you a stronger runner faster than just plodding through mile after mile day after day. Oh my god, does that sound boring. Running is fun, I swear! 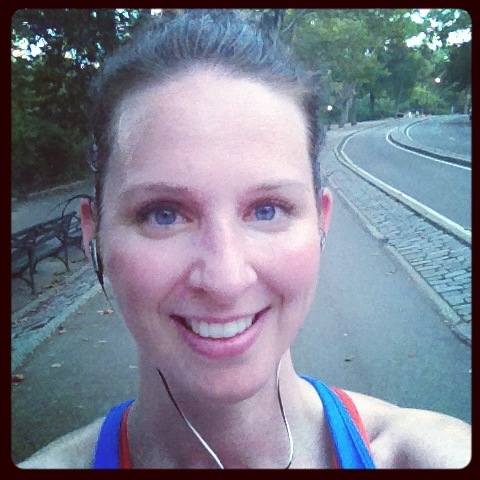 Happy runner, even in the beastly heat of a NYC Summer. It’s weird how I long for those days. And if you haven’t experience that “runner’s high” yet, don’t worry. I’ve been “back” to running for about three weeks now and I haven’t had one run that was easy and felt good, either. It takes time. Now go out and run/fartlek! 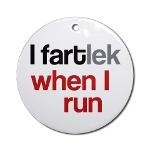 I never did a fartleks on purpose but I like to run faster at the end of a km during some runs. I guess that is pretty much the same. I don’t really think working on speed and strength is good in the beginning if you have never run before. The thing you should work on first is “having fun”, which is important too. Some people don’t enjoy speed work so they might stop running. Fun definitely comes first! However, speed workouts & strength help you get to the “comfortable” long run pace MUCH quicker = happy runner. Also, at a faster speed your body mechanics are more efficient & overall you are better aligned = less chance of injury. Win/win for newbies! I don’t agree with the speed, but I agree 200 % with strength – so important! I guess everyone has to figure out what works best for him/herself. Love when seasoned runners make us feel normal that EVERYONE has bad runs and its not always easy. Makes me love the running community that much more 🙂 Great advice with this post! Girl, if you want to hear about all my crap runs, follow me on Twitter! 😉 Everyone has a bad day now & again (& some if us more than others). Great advice! I’m trying to get Fartleks into my training routine more often. Love hearing from an experienced runner that that’s the right way to go about it!